Come and join us for our monthly dose of great Soul & 60's RnB at The Royal Sovereign, a great east end pub with great team behind the bar, good beers and (if you are early enough) fantastic Pizza! 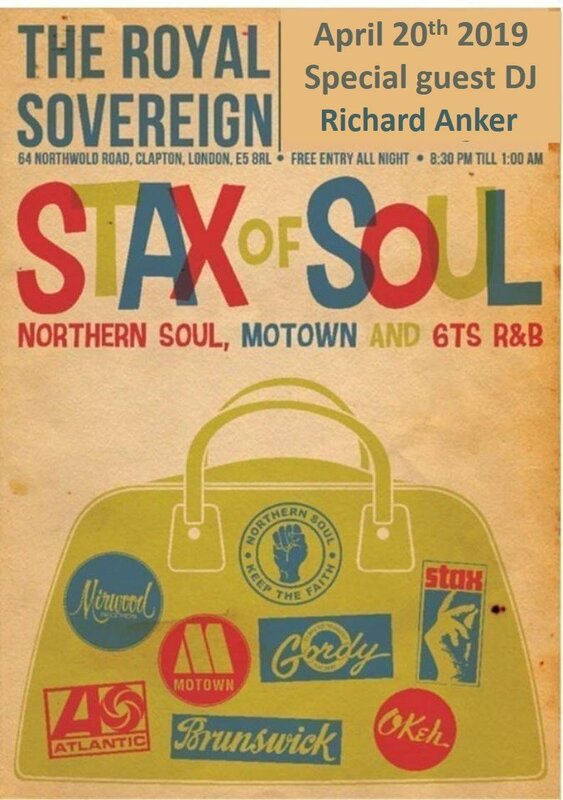 With a wooden floor to complement the OVO on the decks, your in for a great night, and this month we have as special guest DJ Richard Anker, he of Walls Of Heartache fame! Expect tunage all night of great quality!